Daman and Diu Make Up a Union Territory of India on its West Coast. Daman and Diu is a union territory of India. The territory is includes coastal areas that used to belong to the Portuguese. 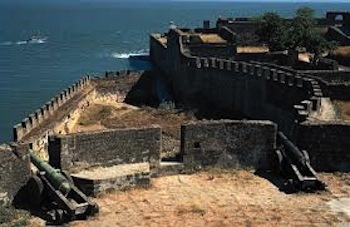 In addition to this territory, the Portuguese also had control of the state of Goa and the union territory of Dadra and Nagar Haveli for 450 years. All of the aforementioned areas of India were incorporated into its republic on December, 19, 1961. However, the Portuguese did not recognize India’s claim to these areas until 1974. This union territory and Goa were considered a single union territory until 1987, when Goa was granted independent statehood from this union territory. The people living in this territory speak the official languages of English, Hindi, Gujarati and Marathi, among other unofficial languages. Some older generations still speak Portuguese, but they are far and few these days. The population of Daman and Diu is approximately 243,000. Because this spot was controlled by the Portuguese for so long, there is a lot of European influence found here in the architecture and the religion of Christianity has a substantial following here as well. Daman is about 120 miles away from Mumbai (Bombay), India. It is bordered by Gujarat to its east, the Arabian Sea to its west, by the Kolak River to its north and the Kalai River to its south. Diu is actually an island that is connected to Daman by means of two bridges. The territory produces some crops including paddy, ragi, bajra, groundnuts, pulses, jowar, sugarcane, beans, bananas, sapotas, mango, chickoo and coconut, which help with its economy. There are approximately 2,930 business operating in the region, ranging from to large operations and all villages within the territory receive electricity. There is no train service between Daman and Diu, but people can drive or fly from one to the other; yes, there is an airport on the mainland and on the island. Flights from Mumbai to Diu are very popular. Some tourist hot-spots in the Daman region are the Bom Jesus Church, Our Lady of the Sea Church, Our Lady of Remedios Church, the forts of Moti Daman and Nani Daman, Jampore, the Devka Beaches, the public gardens and Moti Daman Jetty, Pargola Garden and many more. Popular tourist spots in the Diu region are, St. Paul's Church; Diu Fort and Panikota Fort; Nagoa and Chakratirth and the Children's park at Ghoghla and the Summer House. If you plan to travel anywhere in India, make sure you check out our useful travel tips before booking your trip! Leave Daman and Diu to discover the other states and union territories of India. Explore more information about India from our homepage.